Chateau / Country House1829 sq. ft. 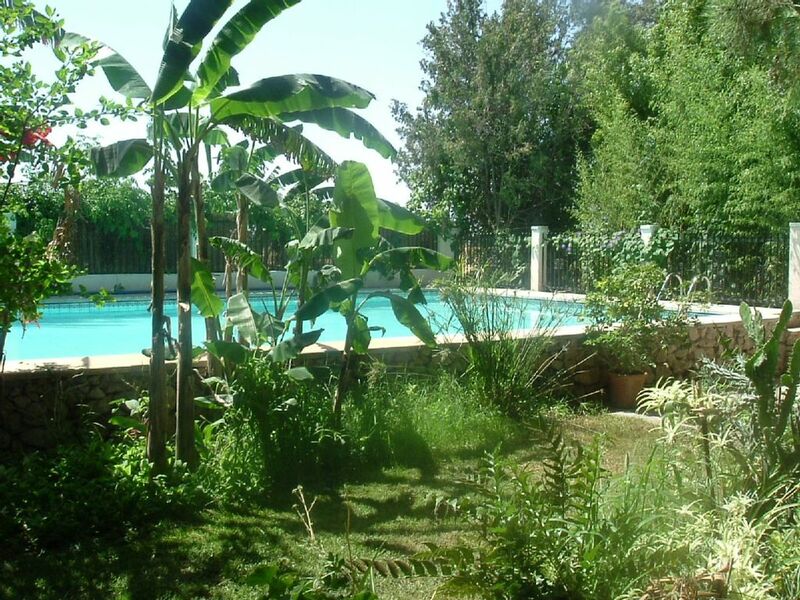 The cottage has been renovated into the Majorcan style with large pool and is alone in the middle of fields in the lowlands of Es Pla in the north of the island between Pollensa and Alcudia on a 11000 m² property with a large garden with many plants, bushes and trees. The cottage is at the foot of the northern end of the Tramuntana mountains. It is 9 km from Pollensa, 9 km from the ocean (Playa de Muro/Alcudia) as well. The cottage is furnished in the Majorcan style. There are several sunny and shady terraces around the cottage and a large grill. The cottage is a perfect starting point for cyclists and hikers. The property is fenced in and surrounded by cypresses, so that it is secluded. There are restaurants, pubs, markets and supermarkets in Sa Pobla about 3 km away. There is also a sport centre with a tennis court and indoor pool. The cottage is located in northern Majorca among a country idyll, off the beaten track, at the foot of the Tramuntana mountains. Sa Pobla is a typical Majorcan village with Sunday markets, and where you can find small shops, typical pubs and restaurants and the supermarket. The fantastic Old Town of Pollensa and the historical walls of Alcudia and the ocean are each about 9 km away. There is a sport centre with indoor pool and tennis courts in Sa Pobla. Sport activities in town, fishing, swimming, mountain climbing, cycling, paragliding, golf, inline-skating, mountain biking, horse riding, sailing, surfing, diving, tennis, hiking, water skiing, daily and weekly sailing trips on a historical 12 m sailing boat.